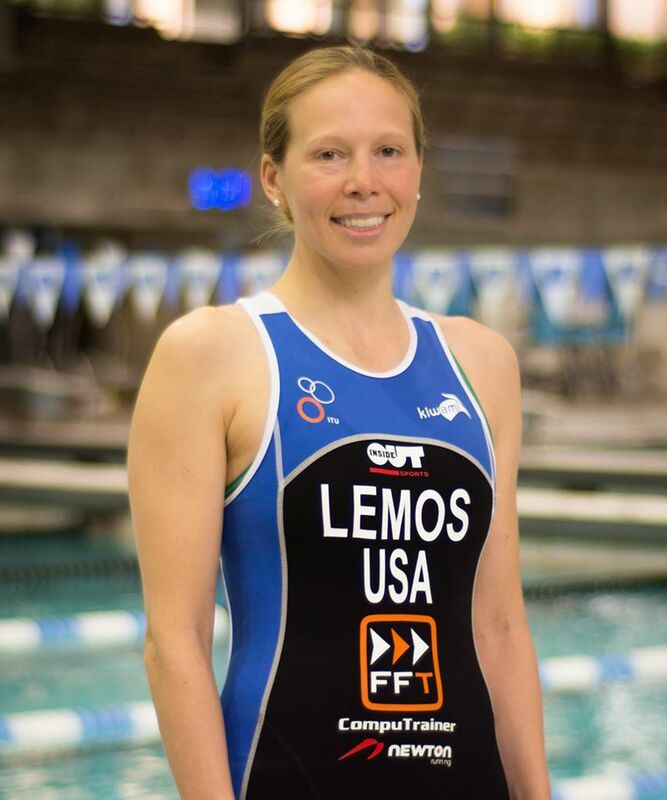 Welcome back Pro Triathlete Kristin Lemos from Bethesda, MD, to the Luray Triathlon! Kristin has raced twice before in the Luray Triathlon. In 2009 as an amateur and in 2014 as a pro, placing 2nd in the Luray International Triathlon. This year she will again join a talented field of both elite and amateur athletes who will be competing for part of the $5,000 cash prize purse. A) I’ve been competing as a professional triathlete for the past 5 years, balancing that with a full-time job that I also really like. Things I am passionate about outside of triathlon: Faith, family (husband Chris and dog Sierra), cooking, gardening, travel and local weekend adventures. A) One thing I love most about the sport is the lasting friendships I’ve made through it. If it weren’t for the many great training partners and friends I’ve met along the way, I probably wouldn’t have gotten to where I am now. Triathlon training also helps me to be more energized and be at my best in other areas of my life. A) Coming into triathlon as a runner, triathlon training helped make me a more balanced athlete and to train smarter rather than just piling on the miles. Q) What brings you back to Luray? A) Luray is one of my favorite races. The beauty of the Shenandoah region and of the course specifically is a big draw for me- plus, I have great memories of sharing this race with friends (and making new ones) the two years I’ve raced here! The race also offers so many truly unique features and opportunities to athletes- from the wine-glass awards to being able to camp at the race site just yards from transition, to the practice swims and pre-race Q&A sessions to allow athletes to get comfortable with the course. I’ve never experienced a race quite like it. A) I hope to improve on last year’s year, race as hard as I can, and have fun! A) Definitely to get connected with a training partner or training group that can keep you accountable and offer advice. There’s so much to learn when it comes to training and racing triathlon, and it’s so much more enjoyable and productive to train with others. A) I plan to compete in some local running races this fall and Austin Ironman 70.3 in early November.